Today, Jason Hartman welcomes Brian Horn of The Authority Alchemy podcast to the show. 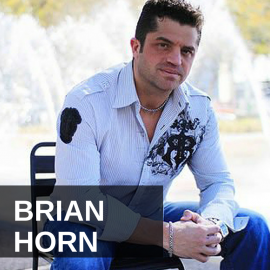 Brian has helped top celebrity entrepreneurs with their branding, search engine results, and internet marketing. In 2010, he was named ‘Google Guru’ by Inc Magazine and he has recently released a new book titled The Authority Mindset. He talks to Jason today about SEO and shares some important insider SEO tricks with him. 8:20 – Amazon has more best-selling authors than anywhere else, because it’s so easy to get into their system. 11:00 – All people want to know is if you can help them or not. It’s important to cater to that or else you won’t succeed. Brain calls this, ‘Educator/Advocate’. Focus on helping others succeed. 25:20 – The Google Penguin update really scared Brain’s clients away from SEO services. “Showing important media logos is a psychological trigger that can then get people to listen to your message.” Tweet this! “Stay consistent with your authority avatar. It’s very important to stay consistent and that you have a consistent message.” Tweet this! “I don’t know of a better way to put yourself out there, build a following, and display your expertise than by doing a podcast.” Tweet this! It’s my pleasure to welcome Brian Horn to the show. He is an SEO expert, co-host of the Authority Alchemy show and writing for the Huffington Post on the topic of Authority marketing. He’s also author of R.O.I Marketing Secrets Revealed and How to Backlink: Using the New Linkerati to Reach Page 1 of Google. Brian, welcome! How are you? I’m doing great, Jason. Thanks so much for having me. Well, it’s good to have ya and you’re coming to us from the great lone star state of Texas. What city? I’m in a little city right outside of Houston. A little suburb called Manville, not too far outside of downtown Houston. We like Houston. I have a real estate investment company and both myself and a lot of our clients..
Great city with a some what transient tenant base, because here’s a lot of people in health care and energy there that don’t stay, so they don’t buy a house, but they rent one for a couple of years, which is.. They do. That’s actually where a majority of the people in the area where I am in are live or work in the medical industry. We’re about 10 minutes away from the medical center. That’s good dynamic. Good rent to value ratios. Texas is obviously very landlord friendly, very business friendly, so we like Texas and Houston is definitely one of our favorites. So good. Getting back to the actual topic at hand *Laughter*. What’s the latest in the world of authority marketing, some might refer to it as personal branding, which is something I got interested in about 15 years ago quite extensively. Wrote a book on it, actually, called Becoming The Brand of Choice. I like your name for it. I actually like your name better, I think. *Laughter*. Yeah, so, what’s really working right now..I’ll also tell you how I found out about it. It goes back to the SEO stuff, so I transitioned from this from being an SEO guy. Actually, it’ll be a good way to tell this whole story then. Back about four years ago or maybe five, back when press releases were a big thing in SEO. Remember back when you could put out a bunch of press releases and rank them overnight and use that to drive back links. I could see on the horizon that eventually Google would slap that down and so what me and a couple of guys did, we started building out our own press release distribution network. We used the same guy that built PRWeb and then we actually went to other big media organizations and worked also with them to allow them to put our content on their sites also, because I wanted a different footprint that what PRWeb had and I wanted to hit these strong authority sites and have live back links back to my clients’ sites. We did that for awhile, was working very, very well. One day, one of my clients asked me, “Hey, all of my links, all my content, has been published on several of these affiliates of ABC, NBC, CBS, Fox, bunch of newspapers. Can I put that I’ve been seen on those stations or seen on those websites?” So I went back to the Terms & Conditions, talked to an attorney about it and got the confirmation that yes, as long as you’re not putting those stations, those media outlets, are endorsing you, then it’s perfectly under Terms & Conditions. It’s perfectly okay to go ahead and put that you’ve been seen on those sites. Yeahhh..but wait a second, wait a sec, wait a sec, my friend. We’ve got the $64,000 question is how do you get on those stations? That’s what I did when I built out that network, that’s what I built it out for, to get on those places. I did it for the purpose of just the back links. We’re not putting on ABC.com, we’re putting them on the ABC affiliate in Houston or Dallas and cities all across the nation. We got deals with all of them. Once you did it, it’s okay. It’s on an ABC website. They’ve okay-ed it. It absolutely works. Now, I still have that networking up and running, but now I’m doing it with the purpose of the authority marketing stuff. This is owners that come to us and we do this, we call this part, we call it Authority Kick Start. This is the very beginning phases of authority marketing. Just putting them out on these sites, so they can say they’ve been featured in those places and then we show them how to leverage that and monetize that appearance. Okay, good, good. The first step is getting the authority, that trust, the social proof. The media logos, right? Right, that’s the very beginning, because that’s something that’s a psychological trigger that can then get people to listen to your message, but then you’ve got to prove that you’re the expert and the authority also. I remember this one sales rep that I knew as a friend of mine years ago. She was very good looking. I asked her about the topic of looks, you know, does that help you make more sales? And she said, “Well, it’s kinda like my dad said, your good looks might get you in the door, but you gotta know something after that.” *Laughter*. I thought what she said was very valid, you know. That’s true. I remember back, not too far out of college, I had a job where I was going as a door to door salesman selling telecom stuff to businesses and they hired all your really attractive..young girls would also go there and get in the door, *Laughter* and get the appointments for the sales guys to come back out. It worked great. It was a good model for them. The eye-candy concept. So what’s next then? There’s a couple of different ways you can go. The other portion we have at Authority Kick Start is the solidification process is getting someone a book. It’s much easier process, because really, if you wanted to start speaking places and you gotta have a book. It really doesn’t matter, I’ve talked to several different promoters, and as long as you have a book under your name, that’s all they really care about. That’s what they look at. They don’t dig into the specifics. What we’ve done, we now put books together, multi-authors books, which have been around for awhile, but we’ll do that just for the purpose of authority. So, we’ll get 10 professionals together, put them in a book, and because of Amazon..the way their ranking system is, as oppose to a Wall Street Journal or a New York Times judge best sellers by weekly totals, Amazon does it on an hourly basis and has tons of categories. So, it’s really easy to make a book into a best seller on Amazon. So, I mean, it just kind of blows my mind and actually kinda bugs me. Everybody is a best seller now-a-days. It does. It’s so easy now. We had a guy, he was a doctor of, he’s a leg/vein doctor and there’s actually in Amazon for that specific topic and he put his book out and bought his one book and was the number 4 best seller in that category for one book. Ohhh. Give me a break. See, Amazon.com because the way the system or the way they change the system and their algorithm for determining this, they’ve made more best-selling authors than anybody in history. More today probably than anybody else. It’s crazy how fast it goes. They also, most of the best seller lists track 1 through 10. Amazon tracks 1 to 100. I don’t think that was anything that was their attention in doing this at all, but it’s certainly that the market caught on to pretty quickly. *Laughter*. Let me ask you though, even though they’ve kinda changed the definition of best seller and most people, very frankly, have in their mind, when they hear that, “Oh, that must be the New York Times best seller list.” That’s neither here or there, we don’t need to debate that point too much, but after to be number 1 in that category in Amazon, you said it’s very easy to be number 1. I mean, how do you do it in broader categories, not the leg/vein doctor. I mean, talk about a niche. No, even with in..you can go pretty deep with any topic, even like with in..like, with what we do with marketing, there’s a web marketing one. That’s a fairly niche topic and with that, as little as, 20-30 books you can be in the top 10. It’s not hard. When you make it your business to do that and you’ve got a network of people that buy books. You help people setup promotions to their own lists or customers, it’s pretty easy. When it’s a kindle and you setup a special for the dollar during that period, most will not hesitate to helping out a friend. Even utilizing social media and those people’s feeds is very, very easy when somebody says, “Hey, my new book, put on special on Amazon for a dollar. Can you help me out and buy it?” And you can get 10-15-20 people just alone doing that. Just about anybody, without any type of influence. Yeah, right, right. Okay. Interesting. Move on. What’s next after that? That’s good. After that, you’ve got two things. You’ve become a best-selling author and you’ve got these media appearances and that puts you in a position where people all of a sudden start listening to you. They’ve discounted your advice before or didn’t look at you as a expert, now look at you as an expert. So, next two things you do. There’s two phases, two parts of the authority marketing that we help people with. Number 1, you have to come out of the position of being an educator and advocate for the success of your customers. That means, you’re not a person screaming, “Buy my stuff, buy my stuff, buy my stuff,” or “I’m so smart, here’s how smart I am, I’mma write a post about this complex SEO algorithm, just to show everybody how brilliant I am.” People don’t care. They just want to know, “Can you help me? Do you care about me?” So, we teach people to come with that mindset. Everything. Am I educating my prospects or educating my customers or am I advocating for their success? You make sure it’s one of those two things with everything you do and those are the only things that you do. A good example of this, Richard Simmons. He puts on a show and he’s really dramatic and ove rtop and he goes out and promotes, but he does those two things very..
Is he still out there that guy? He is. He’s doing infomercials, promoting stuff, and I saw him on, he was on Howard Stern not that long ago and later that day he was on Fox News. You can still find the a clip of him on the internet on Fox News where he starts singing to the host and telling him how handsome he is. He tries to go over and sit on his lap and this is on Fox News. *Laughter*. They’re trying to conduct a serious interview on childhood obesity and Richard Simmons is singing and wanting to sit on his lap and telling him he has beautiful eyes. It was hilarious. Once you get out side of that stuff, really what he’s done..let’s look at the educator stuff first, he has a daily content that goes out. Every single day he publishes content for his target market and advocate stuff, if you remember back to his commercials and infomercials like his sweating to the oldies; it wasn’t just him dancing on there and showing people how to do exercise and trying to get people to buy his product, a good bit of the commercial was him standing beside by a person who was so obese they couldn’t get out of bed and crying with them and telling them they were beautiful and that they could do it. That’s what resonates with his target market. He’s an advocate for their success. Even more recently, he was the person, that champion, adding in required PE to the No Child Left Behind act, which is sponsored by Michele Obama also. He is somebody very involved in that. That’s the educator/advocate. He’s a great example of that. Another one is Dave Ramsey, big radio show guy, same thing. He is out there constantly talking about how evil the credit card companies are and how people can go back and fight against them and get out of debt and get out of that spiral cycle. His show continually puts out information for people every single day. So, that’s part one, the educator/advocate. Second part is, basically, we call it micro-specialization, but it’s really another word for that, really niching down who you’re going after and what you’re providing. For instance, I used to be an SEO guy. Instead of just being a SEO guy, I had a very specific target person and thing that I specialized in. I didn’t just go after, “I’m a SEO guy, give me anything you want.” You can narrow it down, like maybe, like with me I narrowed down to I just served the speaker/coach/authors market and my specific thing with SEO was providing authority back linking services. So, I didn’t mess with somebody’s site, I didn’t write content or articles for them, I just got them really good back links and I only severed speaker, coaches, and authors. Anybody can do it. It’s kind of the good analogy for that is, if you are wanting a steak. You just really want to eat a nice piece of steak. Do you want to go to a steak house and have it or do you want to go to a restaurant like Denny’s, while they have steak, they also serve pasta and fried chicken and sandwich; and hotdogs, and breakfast, and everything else where they just serve it and it is officially a steak, but it’s not what they specialize in. With the micro-specialization concept, you just become the steak house. You just serve that one thing so specifically and focus so much of your attention at it that you can charge more for it, because you have the time to focus solely on doing that one thing better, better, and better and learning about that one specific market deeper and deeper and deeper and understanding their needs and wants more and more. Yeah, okay. Good point. No question that specializations is a critical area of success and it makes people feel that you’re the expert and you know, you are! Yeah, so those are the two main parts of what we do after, or even during, that first process to get them mentally ready for and prepare so that they can provide the right type of content. Then, we move into a phase two type of thing, which is them really becoming the educator. What we really like them to do is start podcasts. As you know, you’re a podcaster also. I don’t know of a better way right now to get up, put yourself out there, and build a following, and display your expertise in doing a podcast. It’s easy to setup. People actually consume the content. Great way to put out content, so we have them setup their podcast. They can go on a regular basis and put their information out there and start building a following. Then, in the final phase, we get them to start, use that content they’ve put in the first podcasts, usually we do about the first 10 to 20 podcasts. We’ll take that and re-purpose that content into a self-authored book, where they can actually have their own book instead of just the multi-author one, they can have their own book that can be their calling card. So, who writes that content or you know, re-purposes it? How do you know the writing is any good? Like, who do you use for that? Getting a ghostwriter, if you will, or really in that case it’s almost an editor more than a ghostwriter, but some of these people are terrible. They’re just not good writers. It’s amazing they call themselves writers sometimes. Blows my mind. They’re horrible. I’ve used some before that literally, their grammar worse than mine, which I thought was impossible. I actually found the one writer whose grammar is worse than mine. But no, we’ve got two writers on our staff right now that are excellent. They know exactly how to do this, so we use them for everything right now. We just take the transcripts of the podcasts..actually, when we lay out their first, like I said, 10-20 episodes, we plan with the end in mind. We plan, okay, these are going to be the first 10-20 chapters of the book, let’s look at these key concepts down and what would it take for someone to go from point A to point B in these 10 steps. We usually like 10 steps, but it could be up to 20 steps and have it setup so it’s ready to go as soon as they’re done, we’ll put the book forward. We’ve got all the content ready to go and we just get it transcribed and have our writer go through and write it, then each chapters goes back to the expert to put it into their own words or change things up if they need to, but then by the time it’s done, it’s a good solid book ready to go. Very interesting. Okay, is there any stage after that or after that stage is it on to fortune and fame? That’s when you’re ready to really go. Once you have the book done, we put on, what we call, a book publicity tour, where we reach out to our media network, media contacts, to put them on our actual radio shows or local TV to write articles in newspapers and magazines and at the very end, we work with places like Huffington post and Forbes and fast companies that have blogger teams on getting them setup as an expert contributor. Once they’re writing for a fast company and they have a podcast, they have a book out with their picture on the cover that says they’re a best-selling author, they’ve really hit that status where they’re really going. The people we work with also are not, it’s not just starting out. That’s just an, “I decided I want to be a health expert.” It’s usually somebody’s who’s got some stuff going on that has that core knowledge basis and has somewhat of a following and just needs something to differentiate themselves between everybody else in their industry. Good points. Is this applicable to all industries or do you just specialize in leg/vein doctors? *Laughter*. It’s across the board. It’s mainly, the speaker/coaches/authors are a lot of what we have because those people are the ones that tends to resonate with. After that, it tends to be local businesses like the attorneys, the chiropractors, and CPAs and people that..basically anybody that puts a big yellow pages ad is a good candidate for this because they’re trying to stand out from everybody else in their industry. So all of those people are perfect prospect for us and will be good candidates for authority. Let’s take a few minutes if we could and let’s talk about SEO. Everything you just mentioned gives someone SEO advantages, of course. Talk to us about some of the technical sides of SEO or any advance techniques. I mean, of course Search Engine Optimization I should just say that to be clear, but gives us some tips there. What I found out and this is hard one, really no one can replicate this, it’s so powerful I just gotta share this. Since I started writing for the Huffington Post, man I gotta tell ya, I’m blow away by the power of that site. I can literally rank any three word plus term, regardless of how competitive it is, in 15 minutes. It’s absolutely amazing how strong that is and what the links of those articles can do. I’m not really even trying to go out and rank for super competitive keywords, because it does..it is going to an article where they actually have to click a link to go back somewhere else and I’m..so there is some other steps there that make it not, you know, best for business, but it’s just amazing. It just shows you how powerful this domain is and that’s really where the strength for everything comes. But, outside of that, what we’re doing with our authority stuff is it’s all based on..we’re really focusing on what people search for at further long-bind state, so instead of trying to rank like four..say if you’re an SEO consultant, so you’re trying to rank for the term SEO Consultant, we focus on putting favorable things under like, Brian Horn SEO Consultant, where it’s completely controlled. It’s not just a website or a Facebook post or something else that’s really not a 3rd party verification for that person. So with our clients, that’s one of the reasons we’re doing these articles. We’ll do podcast episodes, we’ll do real-time videos on Youtube and get all these different things ranking for them under their, not just their name, but also specialization. So, when somebody is in that final buying stage, they can rank for that. Another thing we do for doctor and this is one that everybody missing..everybody, I’ve not seen anybody that does this, but we’ll actually go back and rank doctors for terms under just insurance. So when somebody actually gets their new insurance book, they’re looking for doctors in their area that are under the specific AETNA plan, we will target that specific term. So, Houston Doctors under AETNA. Ohh. That’s interesting. I never thought about the way someone might shop for a doctor by their insurance plan. So, you can just say doctors / Obama Care. Well, gosh, there’s not many experts for that one yet. That one isn’t working that well, but okay. *Laughter*. It’s pretty low. I would agree, I would agree. Any other examples like that? That’s really, that’s a nice hack that you mentioned. Any examples like that for other industries? What can an author for a topic, let’s use, real estate investing, what can they do? How are they gonna use that? The real estate ones. We haven’t done much of the real estate stuff, but basically, what we always go back to is what’s the question the person is asking. So instead of just being, summer house cheap, more like how can I sell my house today? Really, longer tail terms that are questions, because that’s a person that is asking is further along the buying process. What are those last questions people ask when they’re getting ready to buy, we go after those. We go after the longer questions, like 4-5-6 word terms. Do you provide as a service as well or is it just the authority stuff that you mentioned? Just the authority stuff now. The stuff I’m talking about now, we do that as part of the authority stuff, but as far as going after, like what I used to. I used to do stuff for Dan Kennedy and Ryan Deiss, a bunch of other marketing people. I really don’t do that kind of stuff anymore. We just go after direct marketing or higher competitive terms. I don’t do that any more. I got my teeth kicked in during these last updates and I said that’s enough. *Laughter*. The last Google changes is what you’re talking about, right? Yeah, I’m talking about a year or so ago, I just was still doing it and doing well, but it was just so frustrating to have to always do that. The one that really changed was back during the Penguin one. I had a link building service and it didn’t affect, affected less than 10% of my clients, but I had about a 30-40% drop in clients over the next month just because everybody was so scared of using SEO and link building. Google did a good job of scaring people away from it. So that’s what really kind of, was concerning me more was not if I was going to hurt clients or us being to help clients, was that the perception that SEO was dangerous and so people were going to stop wanting to do it. So just the danger would be that they’d get downgraded? Yeah, that they’d give a slap or something. Right, right. Do you think that’s still a big concern? I don’t see it as much anymore, because they’ve not done anything for awhile, but that can always come back out. I gotta tell ya. I think Google is way too powerful. In a way I love that company, of course we all use their products I’m sure, but a company that has that must power to put someone out of business is..that should not be in the hands of one company like that. That’s just not right. No. It’s scary. I think we’re going to see that with some of these Facebook advertising also. I know so many people their whole business is based on Facebook ads and it could just..Facebook could just change how they do it overnight and put out a whole industry, just knock it out totally. It’s a different world we’re living in now-a-days. All I can say is, where is all the government outrage from the Federal Trade Commission at Google having such a monopoly on the search market or on a bunch of other markets too probably, you know? I’m sure it has nothing to do with Google giving all kinds of information on exactly what…*Laughter*. All their subjects do every single day. If you corporate with the NSA, we’ll let you have your monopoly, right? Yeah, what they’re subject.. Isn’t that a scary word you just used? But it’s true! Yeah. *Laughter*. Exactly, what it is. We’re the serfs. We’re the serfs. Yeah, Hayek was right. The road to serfdom has arrived. Is there anything I didn’t ask you that you’d like to cover, just anything in general? You hit on those top things, those are really the most important ones. Well, one thing we can do, this is a fun exercise. We have another ten minutes or so we can go? One thing we talk about also is staying consistent with your authority avatar. We’ve got four avatars we like to.. just everybody can fit themselves in one of these four. It’s very important to stay consistent with this so you have a consistent message. The first one we call it the Mr. Joe Every Man. This is basically the person that comes out and says, “Hey, I did it. You can do it too.” So this is the type of person that found a path to success someway, but still wants to identify themselves as one of the guys. Okay. Second is the Solider. This is the person that’s more like, we’ll go with the other one, Joe Every Man, that’s like the internet marketing world is kinda of like a Frank Koehn type of thing where it’s like, “I’m just a dumb surfer, but I found a way to make millions.” A lot of make money guys follow that. Even like Jared from subway would fall into that also. If you call him an authority, I don’t know, but he’s somebody that would be like that. *Laughter*. Well, that concept is really not like, it hasn’t been throughout history. Like, you know, I kinda hate to mentioned his name, but you know how did a good job at that..*Laughter*. I say that tongue and cheek is Adolf Hitler. You know, it’s really the concept of the common enemy. That maybe one of the Art of War rules, for all I know. It just seems like it would be. I don’t know that it is. *Laughter*. I mean, using that, exploiting that common enemy, because people will generally unite against a common enemy. So you mentioned Dave Ramsey doing that type of thing with the credit card companies with just consumerism in general, anything like that. Right, yeah. For sure. It’s been..I just tend to not Adolf Hitler when describing *Laughter*. Well, fair enough. Fair enough. As a role model..*Laughter*. As being an authority. Every good one can at least serve as a bad one…but you know, he certainly did it. The concept of the false flag and you know, things like that. Yeah, go ahead. Oh yeah, for sure. The third one is what we call the Cowboy. This is kind of the person that just would say whatever everybody is thinking, but is afraid to say it. Kind of the one that calls out, the no BS kind of guy. Dan Kennedy is a good example. Just whoever will go out and call out everybody else in the market. Back to finances of maybe like a Jim Cramer would be a good example of this Sits there, usually a type of person that screams, they curse a lot, and just out there in everybody’s face. The final one is the Wizard. This is the person who is just, has such a complete grasp on the one very specific topic that they’re the master at. Everybody else just kind of benefit by being in their presence like a Tony Robbins. He doesn’t show he does marketing or a bunch of other things, he shows you how to do this one specific thing as does like a Oprah Winfrey. This doesn’t always have to be a person of that type of level, anybody can be in the Wizard type thing, even have a designer that I use. We put him in the Wizard category. Yeah, so those are the four types. You make sure you don’t wanna, we keep focused on staying within one of those, because you can’t be a Wizard saying, “I’m a completely expert in this topic, but hey, I’m kind of one of you guys, just found out how to do this by reading a book one night and it just happened to come to me.” So we really get our people to focus on those one things… We have a. Okay, so say the different types again just to be clear. Just re-cap that. Sure, the first one is the Mr. Joe Every Man, the Wizard, the Cowboy, and the Solider. For the blog posters, we even put a link out, we have all those sit outs also. So, stay true to your avatar. That’s the lesson. Stay true to one of those four avatars. Can anybody be pigeon holed, if you will, into one of those four? You might have sometimes where you go outside and do a few other things, like if you are, say, the Wizard type person where there’s something outrageous that happened in your industry and you wanna call somebody out on, you can still that do, but you need to really watch how you do that. If you’re a Wizard and Mr Joe Every Men, those two can never really cross, because the Wizard gotta be the smartest person in the room about their topic and the Joe Every Man is kind of just a regular Joe that stumbled upon the answers, not really smart, just lucky. So, we really trying to focus on just focus one per group you’re offering it to. Like, with our authority stuff, we have, when we’re offering the authority marketing services to potential clients, very much come from the aspect of the Wizard, but I also have a bunch of re-sellers that resell this stuff for me and they’re mostly SEO people and from them, I do very much the Joe Every Man thing because I am an SEO guy like they are. It’s a much better way for me to relate to them. So, it’s two complete different offers to completely different markets, I use different avatars for each of those and people can do that as well. Okay, so. Joe Every Man and the Wizard can never cross. Can any others cross over? You might have some of those. You might sometimes where they can cross, for sure, but you still wanna…there’s really one that should resonate more with you. When you look at your national instinct is, what your offer is, and who you’re offering it to. Like with the.. If you’re reaching out to people that have been burned many times or have had a bad taste in their mouth about a particular industry or something, you wanna come from the Solider aspect, if that’s what you offer. So, if you’re going after SEO people and they feel like they’ve maybe spent a lot of money in SEO and got burned a bunch of times and the Solider would come back and say, “Hey, I know you’ve spent a lot on SEO on the past and it hadn’t worked out, it’s not your fault, but here’s your simple solution.” So you can go that way. The Cowboy would be, “Hey, f all those SEO people that have ripped you off for so many years.” And come that way. So, it’s just different. You can still come with information to the same market, it’s just how you want to reach those people. Whatever resonate better with you and the type of person that you want to attract. It would sort of beg the question though that after a while Joe Every Man could become a Wizard. It can, but you don’t have to be the Wizard at all. That’s not like, it’s hard. The examples that I used and that one more with the Tony Robbins and Oprah, which are really the elevated status, but it doesn’t have to be at all. There’s many people we have that are wanted to be more that Cowboy or wanted to be that Solider, or even the Joe Every Man. It’s almost an even split amongst all four. Maybe slightly higher to Wizard stuff in some cultures, but for the most part, it’s a pretty even split. It may resonate more with you, but you’d be surprised it’s a pretty even split. Very interesting. Very interesting. Okay, that’s good advice. Well, anything else you’d like to share with your listeners before you’d go? That was fascinating about the avatars and keeping them straight. You know, I was listening to John Lee Dumas podcaster, who you probably know, I’m going to see him tomorrow actually, and I was listening to him talk about he thought of his show, which is a very successful podcast, Entrepreneur On Fire, he basically thought of his avatar. I think he said it was a guy named Jimmy, he drove 27 minutes to work everyday and he was in his, you know, I may get some of this wrong, but the concept remains the same. He was like 35 years old and he didn’t like his job, and the point is, that he said, “Okay, this guy needs motivation every day.” The show needs to be this length and it was really targeted towards that specific make believe guy. That avatar. Oh yeah! For sure. We do the same thing with ours also. *Laughter*. We keep ours right to the 30 minute length for the same point. Ours are listening when they’re working out, 30 minutes on the treadmill, they’re driving the 30 minutes into work. So, yeah. *Laughter*. We keep our shows right about that time for that same reason. Very good, very good. Well, good stuff. Well, hey, thanks so much for joining us today. Give out your websites if you would, tell people where they can find out all about you. You got a couple of different websites. Sure, authorityalchemy.com/ is our podcast site. We’ve post weekly shows there. Also on iTunes and Sticher, everywhere else podcasts can be found and if anyone there is interested in actually starting this authority process, you go to authoritykickstart.com/ and we can…right there is our site and explains what we can do to get your featured on ABC, NBC, CBS, and Fox and get you a best-selling author status in the next 60 days and then we can go from there. Good stuff. Well, Brian Horn, thank you so much for joing us today. Thank you much. It was great talking to you!